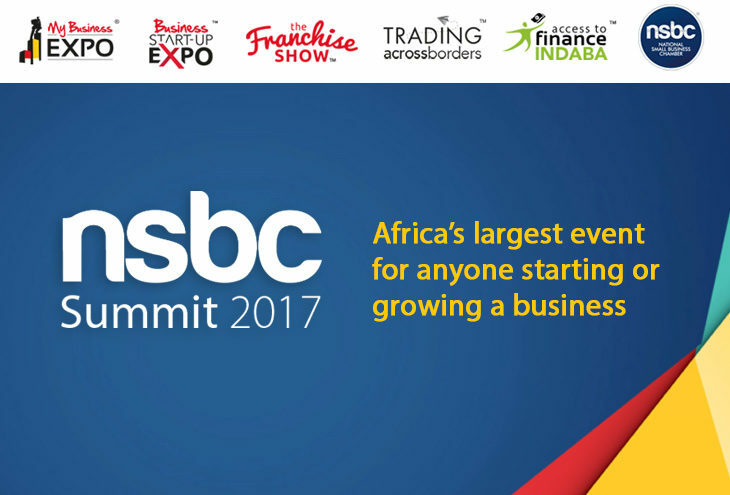 Welcome to the ninth successive season of the NSBC Summit – Africa’s largest and most successful event for anyone starting or growing a business. The 2017 event is even bigger and better than ever! It’s the ‘can’t-miss’ entrepreneurial event of the year. It’s the place to be and how to get ahead. 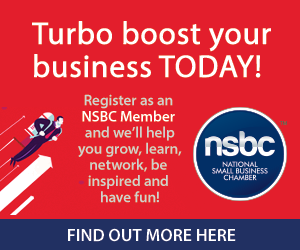 The National Small Business Chamber (NSBC), in association with World Famous Events, brings you the NSBC Summit. It’s the kick-off event of the year and will take place on 15 and 16 February 2017 at Gallagher Convention Centre, Johannesburg. The event is host to the highly successful My Business Expo, Business Start-Up Expo, The Franchise Show, Access to Finance Indaba and Trading Across Borders. With more than 25 000 delegates, 250 exhibitors and sponsors, and 100 seminars and sessions, it’s the most successful show of its kind in Africa. Showcase your product, solution, idea, franchise or opportunity, and meet face-to-face with more than 25 000 business owners and serious aspiring entrepreneurs. Exhibiting is one of the most efficient, effective and successful marketing activities available to you. No other form of marketing on this scale can get you face-to-face with so many potential customers actively looking for solutions, opportunities, ideas, information and guidance. Having a presence at the NSBC Summit will allow you to meet face-to-face and do business with more than 25 000 aspiring entrepreneurs, new start-ups and seasoned business owners from all over South Africa who are serious about starting a business or seeking solutions to build their businesses. Drive forward with visionary insights that can be applied to your future business, new start-up or growing business. Network with more than 25 000 like-minded, get-ahead individuals. Be exposed to cutting-edge solutions and discover new trends. Get skilled on the tools you need to start out and succeed as an entrepreneur. Gain insights, tips and knowledge at more than 100 sessions over the two days.